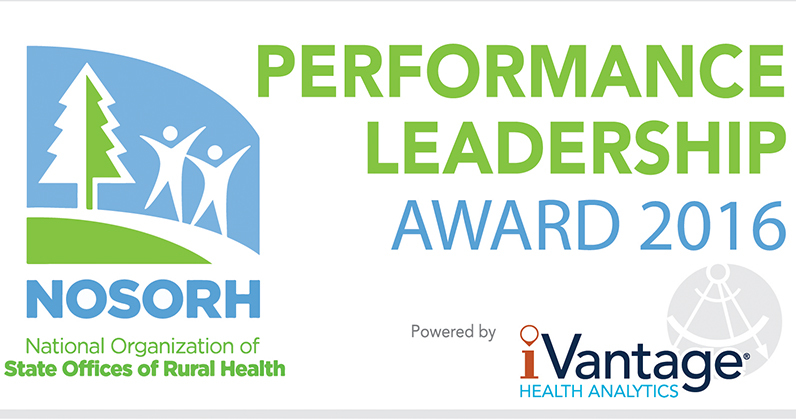 Nantucket Cottage Hospital announced today that it has been recognized by the National Organization of State Office of Rural Health (NOSORH) and iVantage Health Analytics for overall excellence in quality and patient satisfaction, reflecting top quartile performance among all acute care hospitals in the nation. Following another hugely successful season, The Hospital Thrift Shop announced today a record-breaking gift of $400,000 to Nantucket Cottage Hospital. 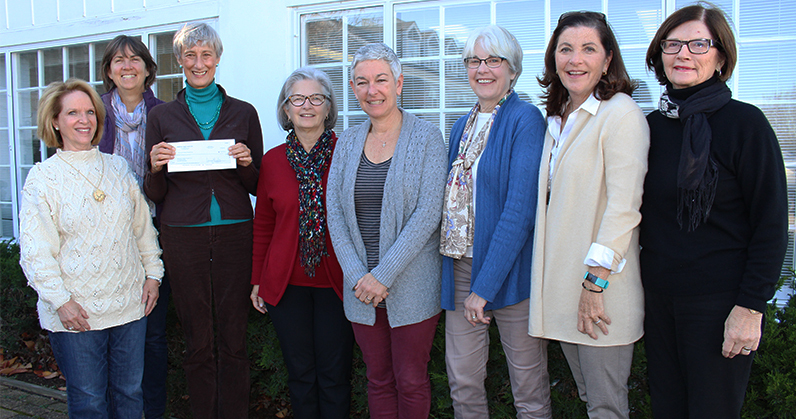 The board members of the Thrift Shop presented Nantucket Cottage Hospital president and CEO Dr. Margot Hartmann with a check on Monday in the amount of $300,000, which has been earmarked for new medical equipment. Another $100,000 will be committed to the Thrift Shop’s pledge of $500,000 for the construction of the new hospital. Whaler Pride Day at NCH! 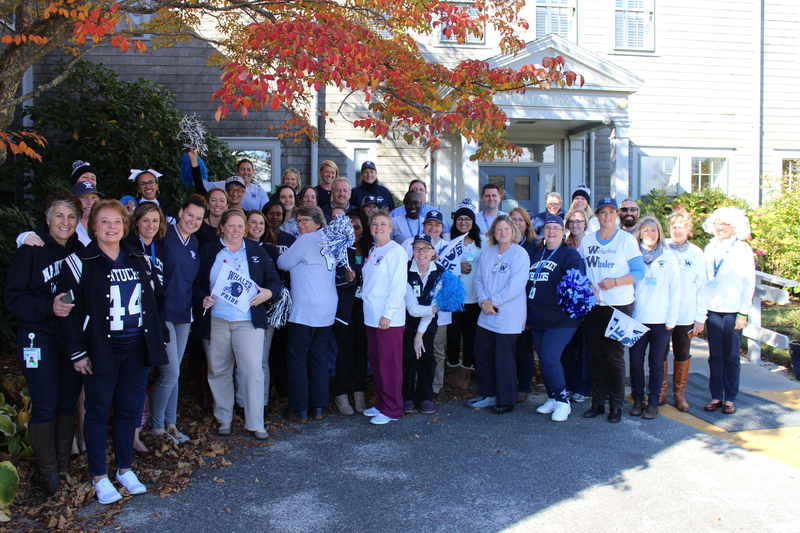 Today is Whaler Pride Day at Nantucket Cottage Hospital! Our staff is wearing Whaler gear at work today to support the undefeated Nantucket High School football team as it takes on Seekonk in the Div. 4 South sectional semifinals at Vito Capizzo Stadium today at 5 p.m. GO WHALERS! For Nantucket resident Kathy Sherman, the initial shock of her breast cancer diagnosis was followed by a deluge of information about the disease, treatment, as well as how and where to access the medical care she needed. “People don’t know how hard this is or how much you have to go through until it happens to them,” Sherman said. 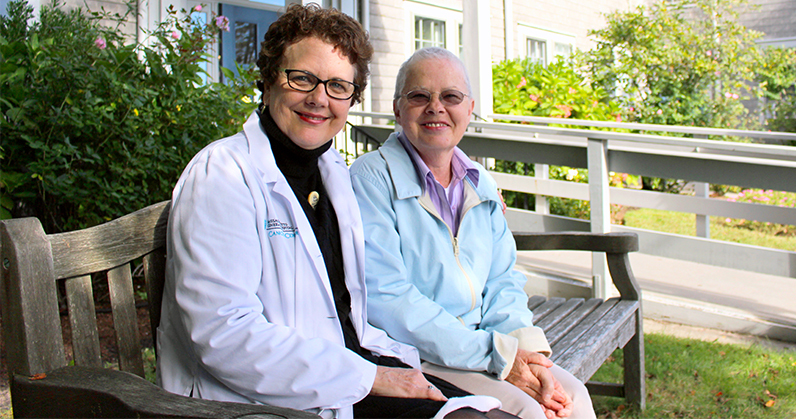 Her anxiety eased when she learned about Nantucket Cottage Hospital’s partnership with the Mass General Cancer Center, which provides island patients with oncology services, including chemotherapy, close to their homes and without the burdensome travel to the mainland. Today, Sherman is being treated at Nantucket Cottage Hospital’s infusion clinic with chemotherapy, and has monthly appointments with MGH oncologists who travel to the island to see NCH patients.